A riddle for you: What waits for no man? It turns out that time and tide wait for no woman, too! 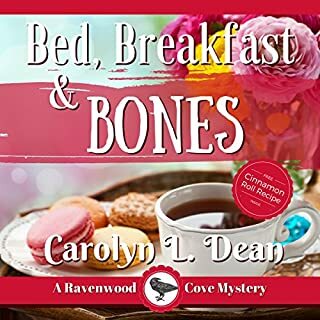 Just when Amanda Graham's life has started to turn around, trouble comes to the quiet beach town of Ravenwood Cove in the guise of a mysterious stranger and ghosts from her past. 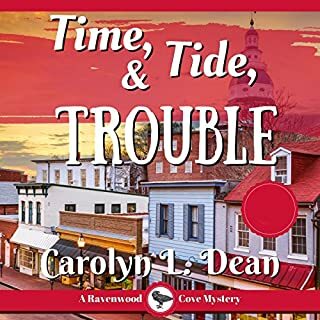 When paths cross with murder and long-held secrets, it's only a matter of time before someone is going to have to pay for mistakes made long ago. Amanda Graham should be happy with her newly-inherited historic inn, a fat cat named Oscar, and living in a small Oregon beach town, but a terrible discovery between the dunes on the coast and she's right back in the soup, trying to solve a murder and save her friend! 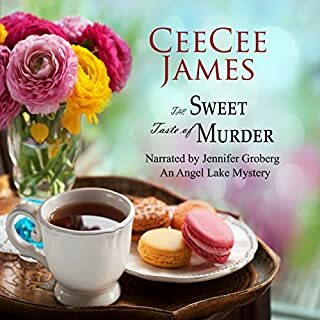 Sure, maybe he was such a rotten person he deserved to die, but as secrets start to be revealed, Amanda is drawn deeper into danger and intrigue. With a harvest festival looming, and tourists starting to come back to visit, figuring out how and why he died is the best way to protect the town, and her sweet friend. She's turned her back on LA and life in a gray office cubicle, so her best bet is to dig in and fight for her new hometown. Very down home and comfy. I enjoyed getting to know all of the characters and the community. I was really surprised by the ending. I am loving the slow romance between the Heroine and the Detective. I loved the interaction between the characters. This was a delightful story. Really liked the book and the author’s writing, but don’t feel the narrator does justice to the story. Somehow, the “sweety-sweet” voice just doesn’t work for the storyline - or for me. A perfect book to cozy up with next to the fire with a cup of tea. Love the characters and atmosphere of the series. Looking forward to the next one. I wanna live in Ravenwood Cove. These books are a great listen. Easy to follow and good characters. I wish I lived there. Enjoyed the story, narrator choice could be better. This was a good story, though one of the characters from the previous title now lives independently. In a previous title she was a resident in a nursing home. Overall the story was enjoyable though the narrator choice could be better. Her voice is much older than the character is supposed to be and often she comes across monotone and flat. 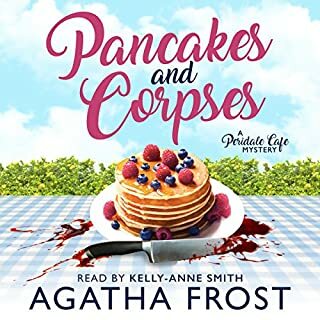 Good cozy mystery, good narrator. The story is well plotted and the characters are likable. the narration was well done except that i found it a bit slow, but thats not a problem now as i listened at 1.5 speed. I am looking forward to the next one. Good plot with a strange but believable twist. Characters are well drawn and believable. 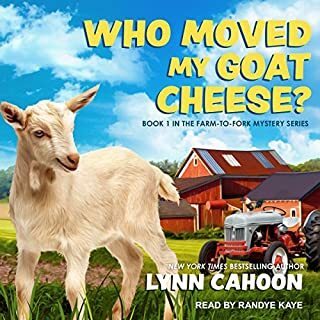 I love the narrator as well and hope she will do more mysteries. 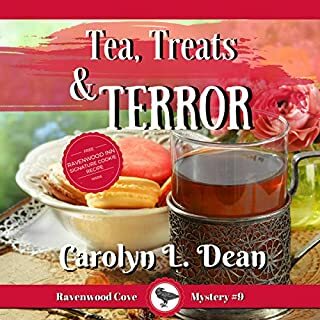 If you enjoy fun, light, cozy mysteries, then this series is for you. The characters are warm and friendly, and seem like friends. As good as the previous one. 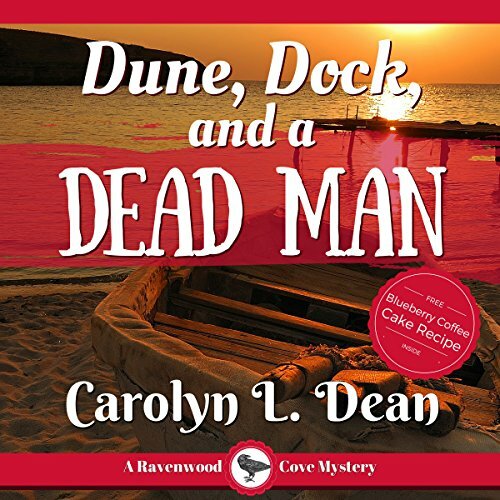 A great second book in the series - Thoroughly enjoyable cozy mystery. I'm on to the next book already.